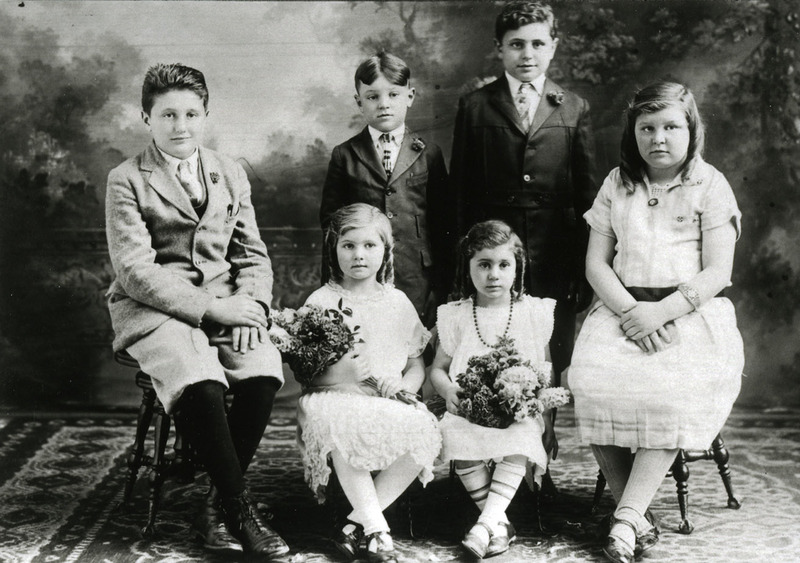 Portrait of the Vettraino family children. From left: Dominick, Sam, John, Concetta (Connie), Rose, Annette. Cranbrook Archives is excited to announce a new online collection of material that highlights the contributions of the Vettraino family at Cranbrook. The collection includes a sampling of photographs and documents of the family, as well as other Italian immigrants who worked on campus clearing the land and building roads and stone walls; maintaining the landscape; and working in the Cranbrook Fire and Police Departments. Michael (Mike) Vettraino came to Cranbrook in 1905 to work with one of George Booth’s first landscape architects, H.J. Corfield. Mike served Cranbrook for more than 50 years and received the Founders Medal in 1955. For more than 110 years, his children and grandchildren have continued to honor his legacy, serving the Cranbrook community not only as grounds-keepers, but in many other areas of the campus. We are pleased to be able to share their amazing legacy.